Contrary to the adage; words can hurt us, perhaps unsettle and scare us, break our hearts or else fling our souls on wings of joy, make us cry with laughter or dig up long forgotten feelings. Words are indeed little atoms of power. As a child I enjoyed filling an English class with laughter by reading out one of my humorous compositions which lit the flame of story-telling. I loved writing and performing plays whilst later as I matured into adulthood I was able to unleash the potent aphrodisiac of writing specially written poetry of the Romantic persuasive type; to great effect! My earliest influences stemmed from simply listening to conversations, paying attention to how the structure of dialogue is shaped from person to person through the many characters that have been aroud me as I’ve lived my life. It has been a fascination of mine to study how well good dialogue can propel a story forwards, often far better than well-explained narrative. Word flow too is another key element, giving the reader no cause to leave your track of thought but to glide without impediment from one sentence to the next. I pick phrasing up too and look for ways to use what I gather to jolt a reader out of a linear mindset perhaps, or to change their frame of reference. All these things bring texture and colour. Playing with words to do these things is pure enjoyment. 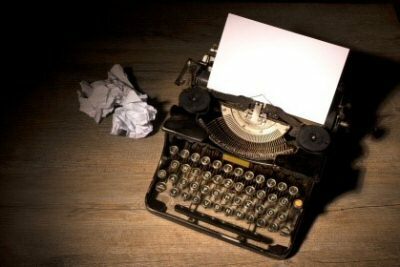 My commercial writing developed from composing copy for a number of clients when I was designing their sales’ literature and company brochures for example. County magazine articles and feature writing for newspapers followed, so that now I get asked to write for a host of reasons. I particularly enjoyed writing the biography of a Second World War tank gunner; utterly enthralling to interview him. Other assignments I get asked to write, are for things like the ‘About Us’ section on a client’s web site. In my spare time I write short stories, broadcast radio plays and write novels. One of my latest ; a three-part novel entitled ‘The Curse of Beckett’s Wood’ is now also selling in the United States, as well as the UK, through the Amazon Kindle Bookstore. 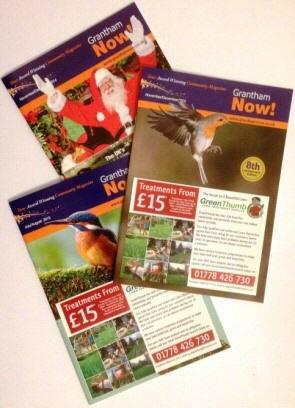 In 2007 my wife Andrea and I established Grantham Now magazine, a local publication for the local community. Its potency comes through its heavy editorial content in the main. Writing these articles has not only helped to bring more polish to the feature writing (over 1,100 articles to date) but also to help in some way towards the economic health of the town through their effective promotional performance. You might wish to visit www.granthamnow.co.uk to view a dozen or so back issues on our On-Line Magazine section.